Finding the right seeding method – which option is best for you? Just ask Clayton County farmers Mark Glawe, Dan Keehner and Brian Keehner! 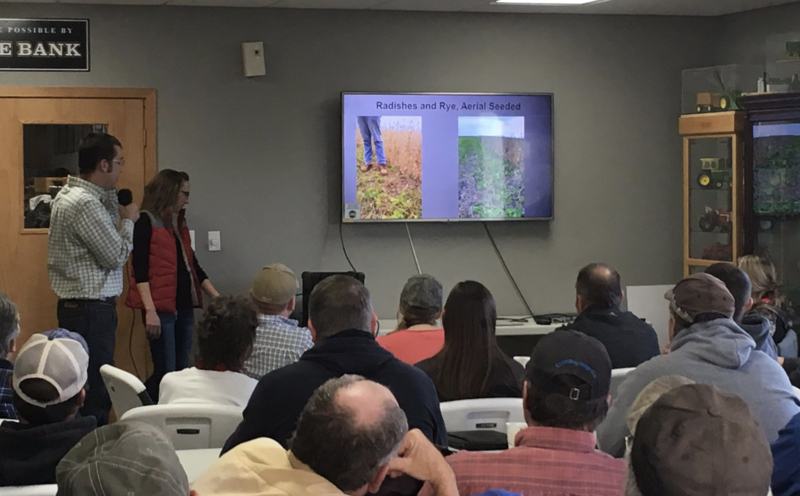 Each have explored different seeding methods and shared their tips for successful cover crop management at our field day on November 29th in Luana. Although their soil types, crop rotations and seeding method vary, they share similar goals for using cover crops in their operations – improved soil health and reduced nutrient losses. Mark Glawe began using cover crops in his no-till system near Elkport in 2006 to address soil erosion concerns on his steep slopes. In early September, he seeded about 2/3 of his acres aerially with oats, rye, radishes and rapeseed. These acres are grazed by his cattle herd following harvest and again in the spring. This year, Mark turned his cattle out in October and estimates his additional forage value at $35/acre. In addition to the aerially seeded acres, Mark’s son follows the combine on the remaining acres to drill cereal rye to keep the steep slopes covered between crop seasons. Dan Keehner first started with aerially seeded cover crops in 2013 on his ground near Monona. Noting disappointment with the consistency of the stand, he hired the cereal rye cover crop to be drilled after harvest in 2014. Similar to this fall, harvest was delayed and the drilling wasn’t completed until mid-November. With limited fall growth but more consistent stand, Dan decided to set up his own cover crop seeding rig for 2015. Using his vertical tillage implement, Dan mounted an air seeder to seed the cover crop himself following harvest and has covered all of his acres with a cover crop since 2016. He uses both cereal rye and winter wheat to keep the ground covered until planting of his cash crop in the spring. “I love seeing one crop (cover crop) go down and another (corn/soybeans) come up. You know when you get the rains, that soil is protected,” stated Dan. Similar to his cousin, Brian Keehner has tried multiple seeding methods but wasn’t satisfied with the results. Through custom innovation, and discussion with a cover crop user in Indiana, Brian has modified his combine with an air delivery system on his corn and soybean heads to seed the cover crops while harvesting. This method fits the needs of his operation by saving time, labor and fuel by combining passes. His next goal for the system is to increase his seed carrying compacity to reduce the number of refill stops. Regardless of how they seeded their cover crops, all three producers reported 0.5-1.2% increases in their soil organic matter over a five year time-frame. The combination of no-till and cover crops has led to the retention and building of soil organic matter on their lands. The building of organic matter helps improve water holding capacity and retention of soil micro-nutrients needed for crop production. With healthier soils, we have healthier crops and water! If you enjoy cover crops with a side of comedy, then you missed out on a good one. 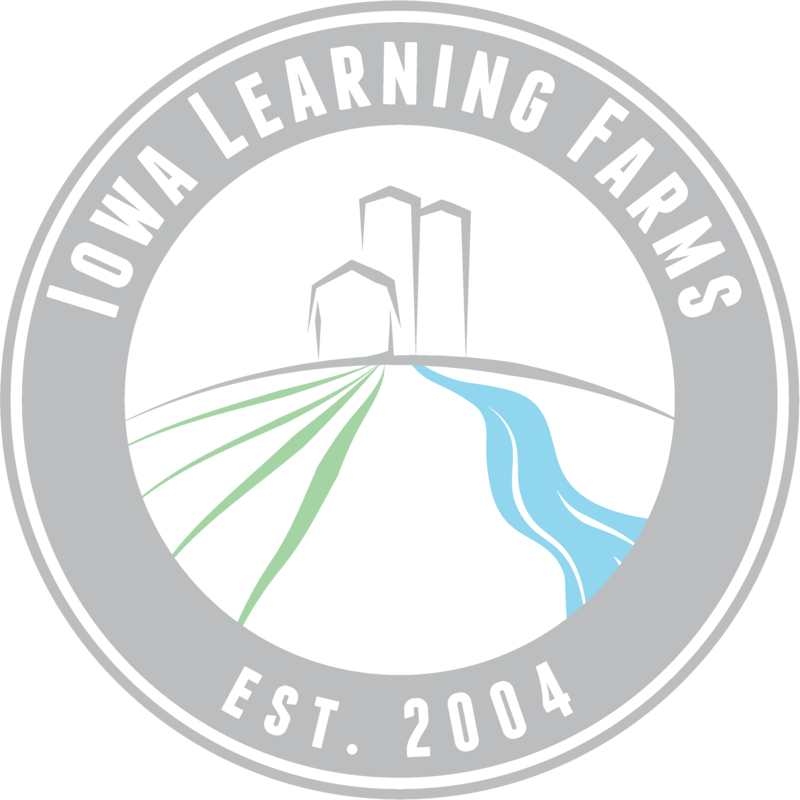 The Iowa Learning Farms, along with Iowa Seed Corn Cover Crop Initiative, Iowa Corn, and USDA-Natural Resources Conservation Service, hosted a cover crop and conservation tillage field day at the Kossuth County Museum in Algona. Kossuth County farmers Matt and Nancy Bormann share their experience with cover crops. Liz Juchems kicked things off with talk of cover crops, species selection and the farmer’s best friend, the Lumbricus terrestris or earthworm. “We have found a 40% increase in earthworm middens in fields with cover crops,” stated Juchems. Turns out that cover crops are the earthworms best friend. 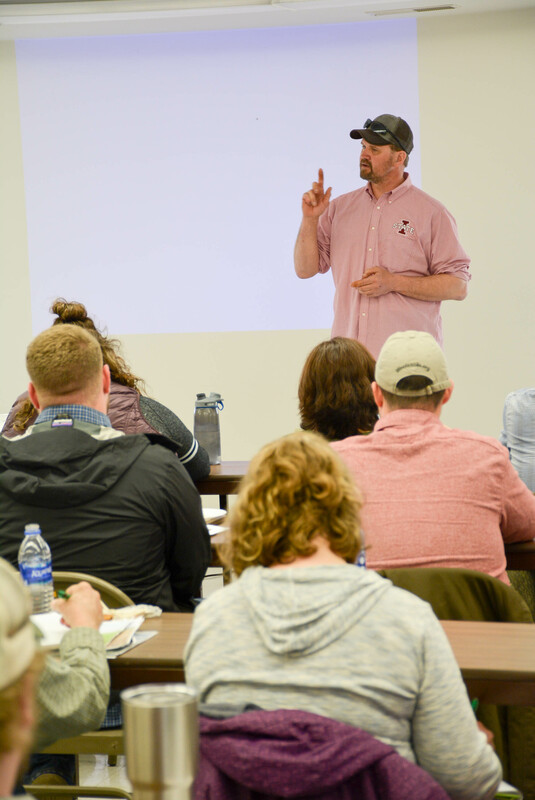 Doug Adams, a farmer and NRCS Soil Conservation Technician gave a play-by-play of his progression from conventional tillage to strip-till and no-till with cover crops. Kossuth County farmers Matt and Nancy Bormann gave a great presentation on their farming history and offered some real gems. Comedy is clearly not out of Matt’s comfort zone because he had the whole room laughing. 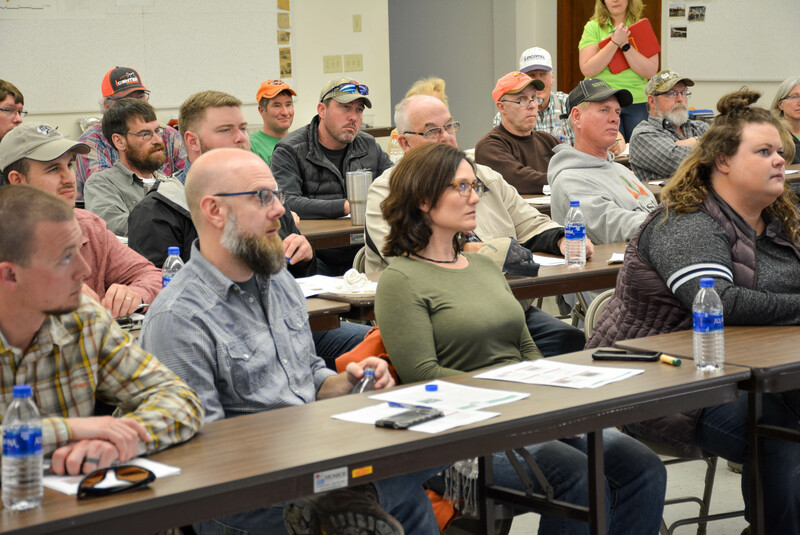 Reminder: If you missed this field day, be sure to tune in to our webinar December 12th at Noon to learn how #NotillB4Beans and #CoverYourBeans can help save time and money.